… View Ford Cologne Weslake oil & scavenge pump available. 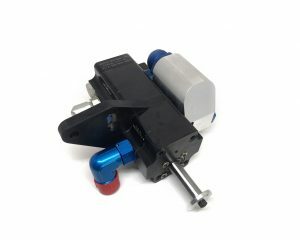 InitRacing in collaboration with Vibration Free is pleased to announce the release of an all new MGB Sterling Rattler Tortional Vibration Absorber. This product is intended for the serious racer. 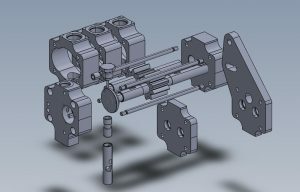 … View MGB Rattler Damper. 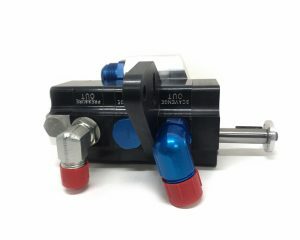 We are pleased to announce the release of Bronze jackshaft washers for the HSR engine. The original sintered fail by cracking through the cut out for the anti rotation dowel. See photo. … View HSR Bronze Jackshaft Washer. … View Ford Capri Weslake V6 Cologne rocker cover gaskets. … View Coventry Climax FWMV 1.5L V8. Ford Capri Weslake V6 Cologne "Rattler Damper"
Initracing have been working closely with Vibration Free to produce an all new damper for the Weslake V6 Cologne. It is available with or without encoder. The principle of these dampers is to cancel out the vibrations before they start, unlike a conventional damper that tries to dampen the vibrations once they are present. The Rattler damper which is sometimes called a pendulum damper has been used in modern high performce engines like F1. … View Ford Capri Weslake V6 Cologne "Rattler Damper". … View Ford Capri Weslake V6 Cologne Con Rods. Initracing are pleased to announce the release of new crankshafts for the Weslake V6 Cologne. We have been working closely with a premium crank manufactory Arrow Precision Engineering to produce an optimized crankshaft. These cranks are designed to work with our piston and rod assembly. … View Ford Capri Weslake V6 Cologne Crankshaft. Initracing are pleased to announce the release of new pistons for the Ford Weslake V6 Cologne. These pistons are billeted from solid and are optimised for weight and performance. Stock piston is at 12:1 but can be machined down if required. … View Ford Capri Weslake V6 Cologne Pistons. … View Ford Capri Weslake V6 Cologne Head Stud & Nuts.